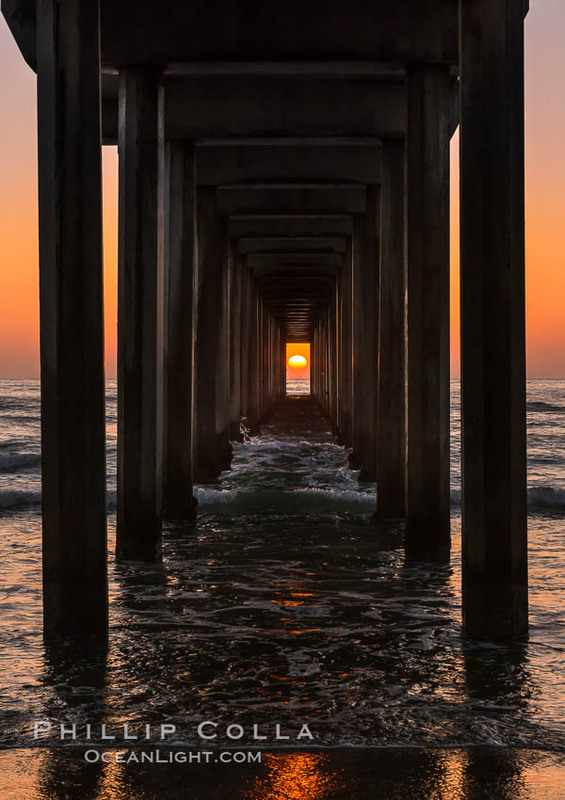 Occasionally the setting sun will be perfectly framed within the pilings the Scripps Institution of Oceanography research pier. This is what the perfect solar alignment through the SIO Pier pilings looks like — it is a spectacular sight! Contact me to inquire about a print for your home or office of this iconic San Diego icon, captured at the peak moment of a rare celestial event. This image is available up to 54″ high x 36″ wide, presented on canvas, metal and traditional photographic substrates. Cheers, and thanks for looking!